It didn't rain. What is the fate of my soil-applied herbicide? Photo. Common waterhemp in corn (Credit: Angie Rieck-Hinz, Iowa State University). Note: Tom Peters, Extension Sugarbeet Agronomist with University of Minnesota and North Dakota State University, recently posted the article “It Didn’t Rain. What is the Fate of my Soil-Applied Herbicide?” He discusses the effects that the recent dry soil conditions and lack of rain might have on soil-applied herbicides in the article, reprinted below. While the herbicide active ingredients might be different for fields planted to corn and soybean, the effects of dry soils on pre-emergence herbicide activation is the same. In 2017 Lisa Behnken, Crops Extension Educator in southern Minnesota, spoke about these very challenges in corn in this video. The message to use a preemergence herbicide in 2018 was well received for growers with fields where waterhemp is their primary weed. There was a flurry of activity last week to apply preemergence products and to take advantage of the forecast for rain. Some received precipitation; many did not or not in quantities sufficient to activate preemergence herbicides. What should we do now? We need to wait for the next system to move into our area. Weed emergence has been spotty since weeds are in dry soil, too; the surface half-inch of soil or the area where the small seeded broadleaves germinate and emerge is relatively dry. Precipitation, when it occurs, will move herbicide into the seedling zone as weeds begin to germinate and emerge in response to precipitation. Are the herbicides secure and how long will they last? It is true, there will be some losses especially if herbicides remain on the surface for more than two weeks. But in general, the herbicides we use can withstand loss since they are not volatile, and they are strongly absorbed to soil. Volatility (evaporation), adsorption, and soil moisture effect soil-applied herbicides. Volatility is the change in herbicide physical state, from a liquid to a gas. Most soil-applied herbicides used by farmers have a medium or low vapor pressure, meaning they generally will not volatilize during warm and dry conditions. Adsorption is the attachment of herbicides to soils. Herbicides must be bound to soils or they would easily leach away. Most herbicides are moderately or strongly bound to soils colloids and should not be impacted by our dry conditions. Herbicides can remain on the soil surface for 7 to 10 days, perhaps even 2-weeks without loss of efficacy. There have been spotty showers and some areas have reported a few tenths of an inch of precipitation. Is this enough? No, most herbicides require approximately half-inch for activation although amount depends on soil type, soil moisture level and herbicide characteristics. Soil moisture levels at the time of application and following application influence herbicide performance. It takes more precipitation for activation if herbicide is applied to dry soil than if herbicide was applied to a soil at field capacity. Additional precipitation will carry some of the herbicide into the profile as it percolates through the soil profile when fields areat field capacity. However, there will be less downward movement since precipitation must wet the soil first if the soil is dry at the time of application. Finally, soil type also influences herbicide efficacy, especially in dry soils. In general, herbicides are more readily available in coarse than medium or fine textured soils. That stated, herbicides are less active in dry soil than wet soils, since in dry soils, herbicide binds more tightly with soil colloids and is less available to weeds. Even if the herbicide is present at the proper depth within the profile, under dry soil conditions some portion of the herbicide may be unavailable to germinating weeds and performance will decline. Many growers used preemergence herbicides but have not received sufficient precipitation to activate herbicides. Don’t worry about the PREs, they will get activated when it rains. The question is what to do about the emerged weeds. Control them as soon as possible since small weeds are easier to control than large weeds. Emphasis should especially be on herbicide resistant weeds like kochia, common ragweed and waterhemp. Small weeds or weeds less than 3-inches are more susceptible to herbicide than large weeds. Even weeds with low level herbicide resistance are more susceptible at 1-inch than at larger growth stages. Use full herbicide rates and adjuvants, when appropriate. Full rates will kill weeds with low level resistance. Reduced rates allow plants with low-level resistance to survive, hybridize and produce progeny with elevated resistance. 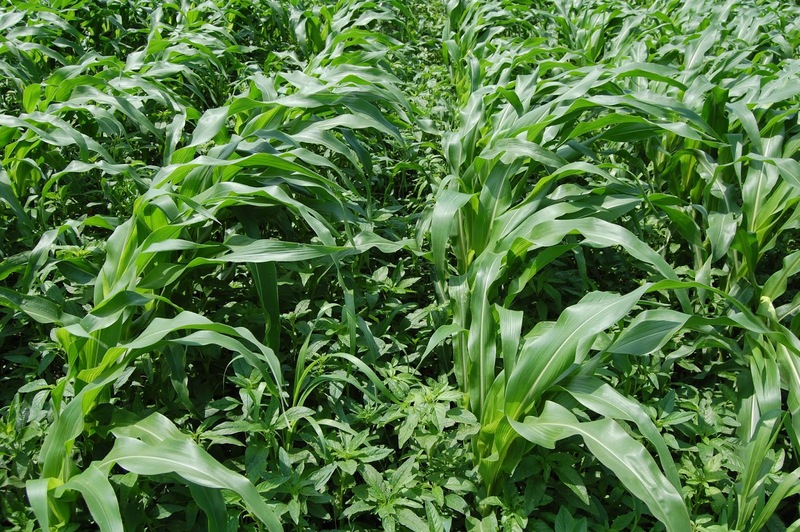 A caution for dry soils or fields that have not achieved full stands: select herbicides rate that are a compromise between weed efficacy and crop safety. For sugarbeet growers, apply Betamix at between 10 and 12 fluid ounces per acre for sugarbeet up to 2-leaves. Add ethofumesate at four fluid ounces per acre. A second option is UpBeet at 0.5 to 0.75 ounces per acre. However, a grower needs to be aware of areas where there are ALS (SOA 2) resistant weed biotypes.